What do you do when you are faced with a traditional retailer, who has been around for 118 years, that is in decline and unable to quickly effect change? You disrupt it from the inside, said GM of omni-channel at Myer, Robbie Tutt, who spoke at the Online Retailer conference in Sydney last week about how he has set about turning around the beleaguered retailer’s fortunes. 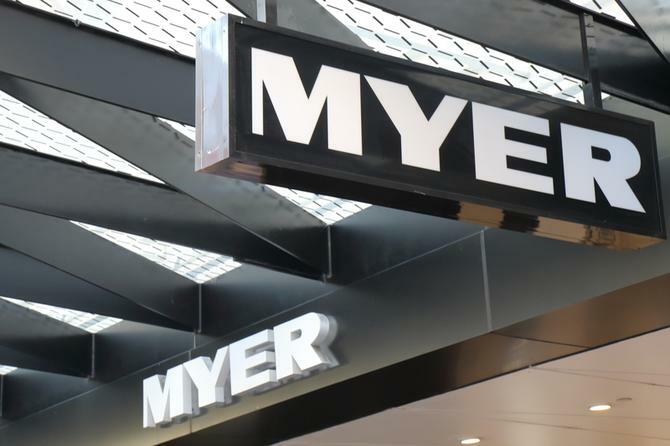 Myer CEO and managing director, Richard Umbers, stepped down in February, just days after the embattled retailer issued at half-year finance warning and refused to name a NPAT guidance figure to the stock exchange. Umbers’ departure came three months after Myer chairman, Garry Hounsell, took up the reins from long-serving chair, Paul McClintock. The departure is one in a string of executive and board-level changes made in the past year as Myer strives to transform its fortunes and reclaim a commanding position in Australia’s retail landscape. In 2017, Myer’s deputy CEO and chief customer and merchandise officer, Daniel Bracken, left at the same time as the group revised down its FY2017 net profits. Myer is more two-and-a-half years into its $600 million ‘New Myer’ strategy, a plan focused on four key pillars: Customer-led offers, wonderful experiences, omni-channel shopping, and a productivity step change. Tutt said his job is to set up a different culture within Myer. "When I started, I was told that if in three months I fit the mould and was doing things the way Myer has always done them, I would have failed,” he said. Since then, Tutt has set up agile teams, has created new ways of working, implemented new technology, and is driving constant communication with customers. He said the foundation of the new omni-channel strategy at Myer is constantly asking themselves if department stores are still relevant. “I think department stores are still relevant, but they’ve lost their way. They need to understand what they need to give to their customers, which is something unique," Tutt commented. "The fact is, 60 per cent of our products can be bought somewhere else. So what’s the incremental thing we need to deliver to create a great customer experience? "It’s quite clear what customers want, they want great customer service and they want people who know and understand the range of products we sell, so they can get all their solutions under one roof." Yet two years ago, there was no UX, design or development team, and no swift way of making any changes at Myer. “If you wanted a change made across any kind of digital platform, you raised a ticket that went to an offshore company and something was changed by someone who had never spoken to a customer,” Tutt explained. “Myer was a traditional retailer that needed change, so we went to the Board to get some cash so we could build a new team. We said we’d focus on the app, which was a one-star rated app, and that we’d get it to four stars. The Board were nervous, because we wanted to invite customers in to tell us what we were doing wrong and how we could fix it, but they welcomed it. And so far, it’s working. Now, Myer regularly speaks to its customers, and has changed the way it delivers to customers both online and instore. As a result, its NPS is growing, and Myer online grew by 50 per cent last year and 50 per cent again this year. Tutt said critical to this is making sure customers can shop on any channel, and driving customer engagement and customer interaction. “Awareness can happen anywhere, through any channel, like Google, mobile, social, TV, and our customers can purchase on any channel. They can start on Instagram and click straight through. Ultimately, if you take away the title of omni-channel, it’s just the way people shop now,” he said. “We recently did a store tour and asked 400 customers how they shopped. We asked if they use digital and no-one responded yes, because they don’t think about it, it’s just part of what they do. It used to be having a digital strategy was an advantage - now, it’s just hygiene; you have to do it. Tutt and his team set about improving the customer experience for Myer shoppers by overhauling click and collect, returns and delivery services. They now also use data and test innovations consistently. “As a result, we’ve got happier customers. They are not fully happy yet, but we’re getting there. Our omnichannel customer has an NPS that’s 20 points higher than someone who shops just in store. So this has led to growth," he continued. “We talk to our customers all the time to look at what we are doing and planning. We use data and test all the multiple versions of the Myer websites out there at the moment, collecting data understanding which one’s best for UX. “We can’t give our customers everything, but we interpret what they say and use financial measures to understand what the best thing is to do. We try something different through innovation, testing and learning. We had a whole store and took 50 per cent of the POS terminals out and replaced them with mobile devices. So team members transacted with customers on their mobile devices to see if that would work, and it did, so we are keeping that strategy going. “We started with paper prototypes, we’re now building our platform of the future. The cloud-based platform we’re building will allow us to respond much more quickly and iteratively to our customers’ needs. We all know customers are becoming more and more demanding, and we can’t respond fast enough with our existing platform." Myer has also partnered with a range of companies to build a marketplace including Marketplacer. "Marketplace built a whole new platform, with new communication models, we on-boarded 180 suppliers and 40,000 products, and launched. That’s still growing,” Tutt said. Tutt also welcome Amazon to the Australian market, saying it is what local retailers needed to wake up. Omnichannel is just a word. It’s just the way people shop now. A customer who shops and engages on multiple channels is much more valuable. Talk to your customers, but also interpret what they mean by what they are saying. Build the right culture for your team, let them define their own outcomes so they can best deliver CX.